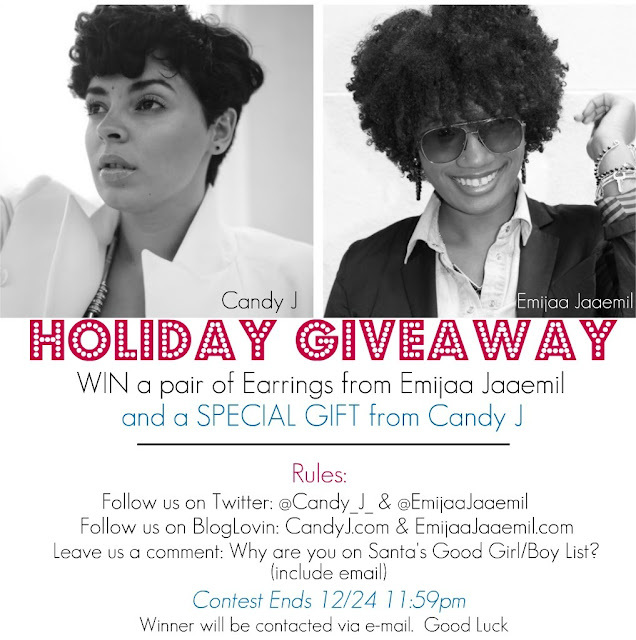 Christmas is the season for giving so I teamed up with Candy J of D'Art of Estilo for a super duper Holiday Giveaway. 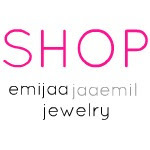 Check out her blog where you can enter for a chance to win your own pair of Emijaa Jaaemil Earrings and a SPECIAL GIFT from Candy J.
I believe I am on Santa's Good Girl List because I am 25 going for my Masters, I pay most of my siblings bills and I work hard to keep my family happy. This would be a great gift to give to my beautiful Mother whom is my inspiration. I told myself I would work on trying new things this year and just living for myself. Although I am still working on that I believe I have been a Good Girl this year mainly because I haven't changed who I am for others and remained true to myself. I really hope I win! I've never won anything before lol.